Maccaferri US will be sponsoring the Spring 2016 New Mexico Floodplain Managers Workshop due April 12-15, in Santa Fe, New Mexico. As Gold Sponsor for the event, Maccaferri US will be supporting the Spring 2016 New Mexico Floodplain Managers Workshop to be held April 12-15 in Santa Fe, New Mexico. 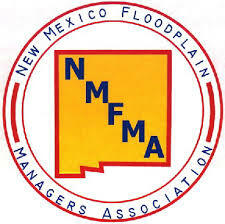 The New Mexico Floodplain Managers Association (NMFMA) regularly holds a spring and a fall event that take place in various locations across New Mexico, while providing a forum for multiple committees to meet and promote their mission to local municipalities. The Conference, GIS and Training and Education Committees are the primary groups that meet during these events. The Fall event will be held in Deming, NM, Sept 20-23. Stuart Klein, NM Area Manager at Maccaferri, will be attending and manning the exhibit. He has been with the Company for 15 years and has a tremendous amount of knowledge in the areas of erosion control, river training, soil stabilization among many other topics. The NMFMA is part of the larger Association of State Floodplain Managers (ASFM), which is the supporting organization of professionals involved in floodplain management, flood hazard mitigation, flood preparedness and flood warning and recovery. Its mission is to mitigate the losses, costs and human suffering caused by flooding and to promote wise use of the natural and beneficial floodplain functions. For further information on our participation in the workshop, please feel free to contact us.